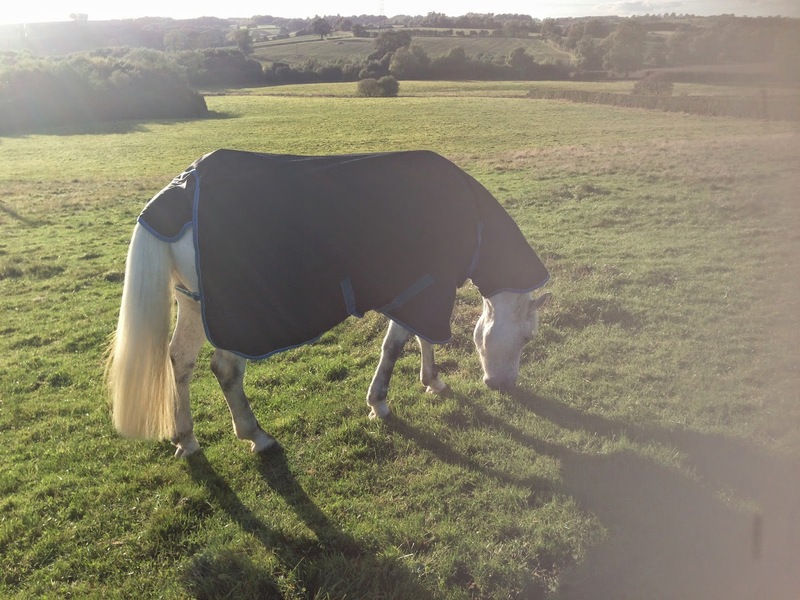 "A rug for those changeable, inbetween Autumn/Spring days"
And I welcome...my first ever Shires rug, the purchase has left me wondering why it took so long!! 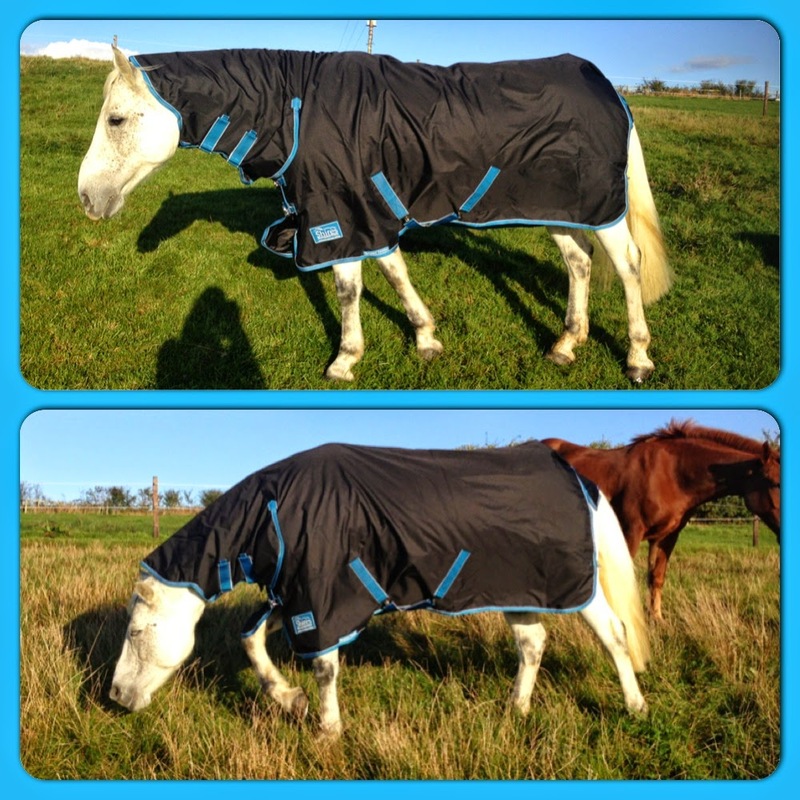 I have been using the Tempest Original 100 Combo Turnout rug since September and have been seriously impressed with it. Photographs taken on first day of wearing rug, ensuring it is clean and well presented for our wonderful readers...it's not dusty and brown, mud glorious muddd! Firstly I will point out my boy isn't a proactive rug wrecker, but has been know to have rugs last less than 2 weeks on more than one occasion, enjoying serious roll-time and playing tag with his boisterous field mates on a daily basis! Because of this I was initially concious of buying a cheaper brand of rug, I'd rather spend a little more & it last longer, but struggled to find 100g rugs (that didn't cost the world **cough Amigo Bravo**), so I took the risk and purchased from R&R Country RRP £55.00. 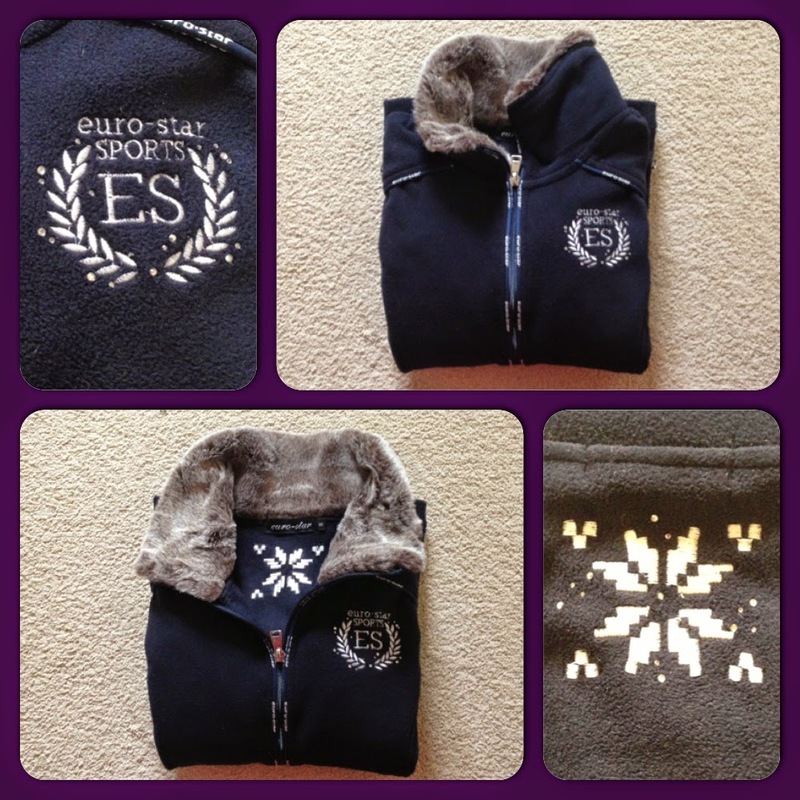 As it gets chillier I plan to use this as an under rug too, dual purpose! 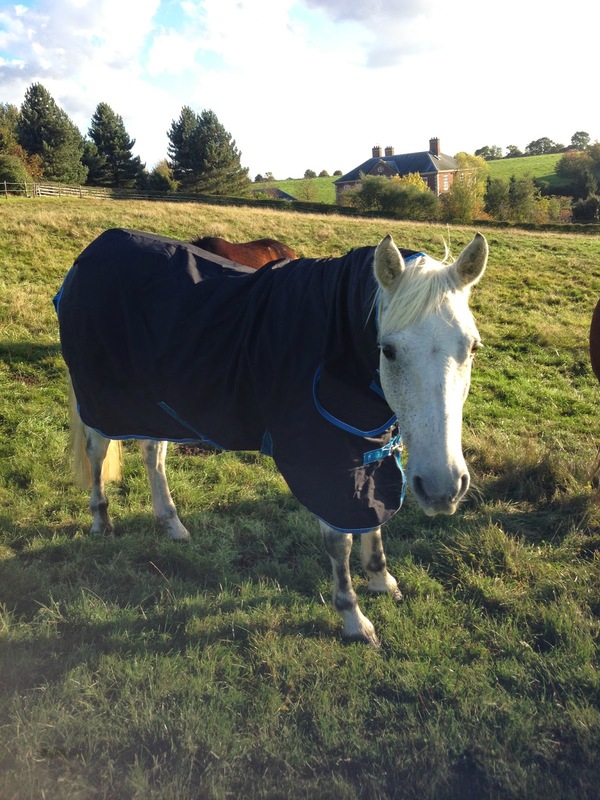 So if you ever find yourself in the market for an 'in-between' rug, or have a good doer type that needs that little extra I would completely recommend this rug, I have been so impressed with it and wouldn't hesitate to purchase this or any other Shires rug in the future. 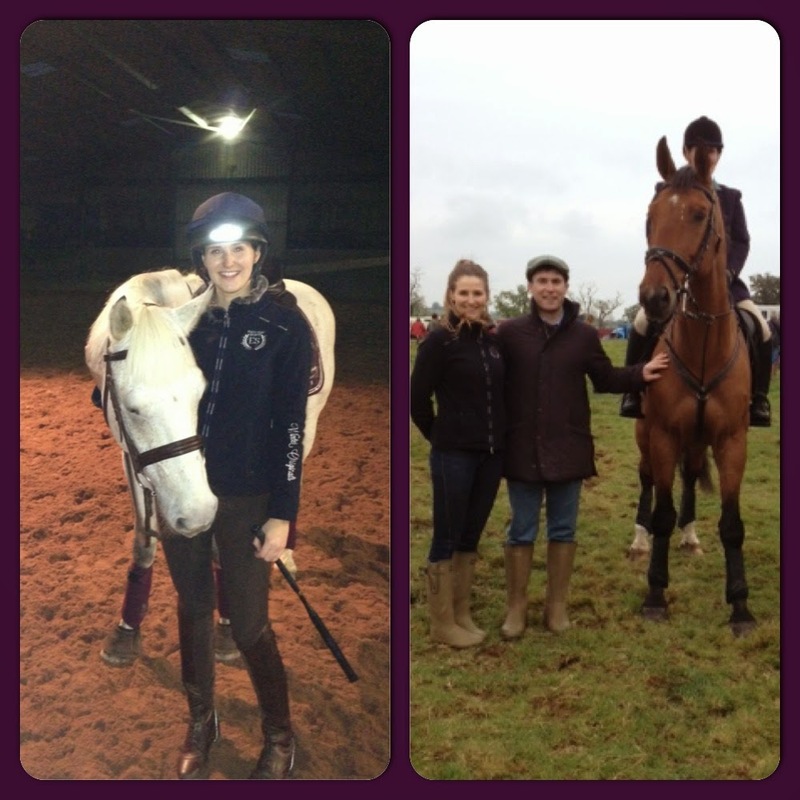 This is the official Shires photograph for the rug, who thinks Oscar could be a double? Haha, so alike? Right down to the muddy legs!! I have been using the Le Mieux WrapRound Leather Over Reach Boots (brown) for 6 months+ wearing them almost every time I have ridden, they're still in fantastic condition, (just a few scrapes where they've successfully done their job and taken an impact). The quality is exceptional, they're made from leather hide, lined with a soft neoprene type inner material that doesn't hold water or rub and after stepping on them numerous times Oscar is yet to rip a chunk out of them, even out hunting! And after wearing them for example in a muddy hunting field or even a wet sand school (when it sticks to your boots...bandages...bottom of your riding boots, ahhh...the bitter sweet of a freshly watered surface), I either brush them off with a Magic Brush or hose them down and hang them out to dry always coming back good as new - if they were ever incredibly dirty they're machine washable too. 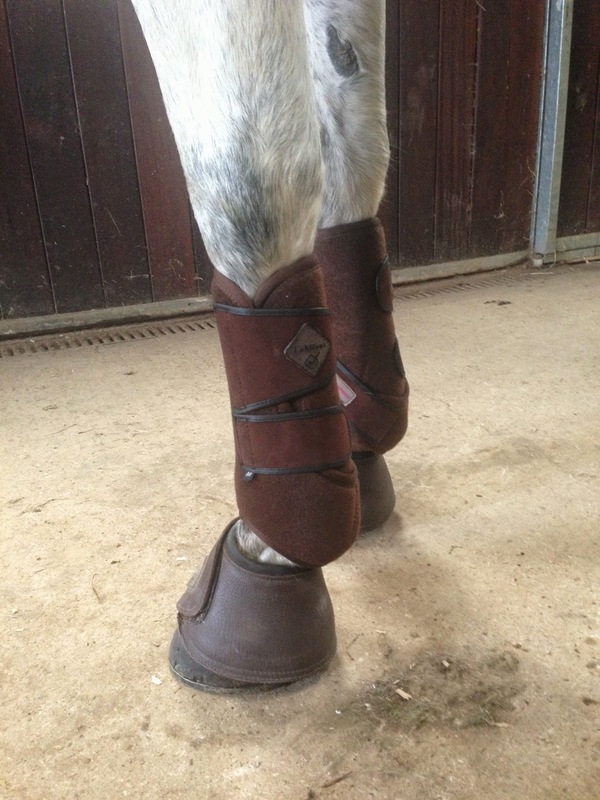 Putting them on and taking them off is a simple and quick process with the wrap around velcro strap fastening the boots securely in place, this closure method also means the boots are easily adjusted in size to your horses feet. Oscar has worn these boots hacking, hunting, showjumping, schooling...travelling, the list is exhausting and they're a great all round over reach boot, Oscar wears a size Large due to his high clenches and tall feet...his 16.3hh thoroughbred neighbour with wide flat feet (who Oscar recommended these boots too) also wears a size Large (and he successfully wears this for turn out to avoid pulling his shoes off as his mum was fed up of replacing her plastic ones every week and they've stood up to the test without any rubbing), therefore I'd say they're true to size and order as normal, after all we each have our own personal preferences of what areas our overreach boots need to protect depending on the horse. ...since I purchased mine they've also launched fluffy lambskin overreach booties in the same 'wrapround' style, they're definitely on Oscar's Christmas list. When I first met Oscar he was a freshly clipped, fit Irish Connemara, who for my safety - after explaining that I was shopping for my 'FIRST' horse - the dealer chose to put in a two ring dutch gag for our first ride and I agree this was the right thing to do for us as the seller did not know me or my riding ability. And because Oscar is a pampered pet, not a competition horse I get enjoyment from knowing he is happy and comfortable when we are spending time together, therefore a simple snaffle mouth has always been a priority. 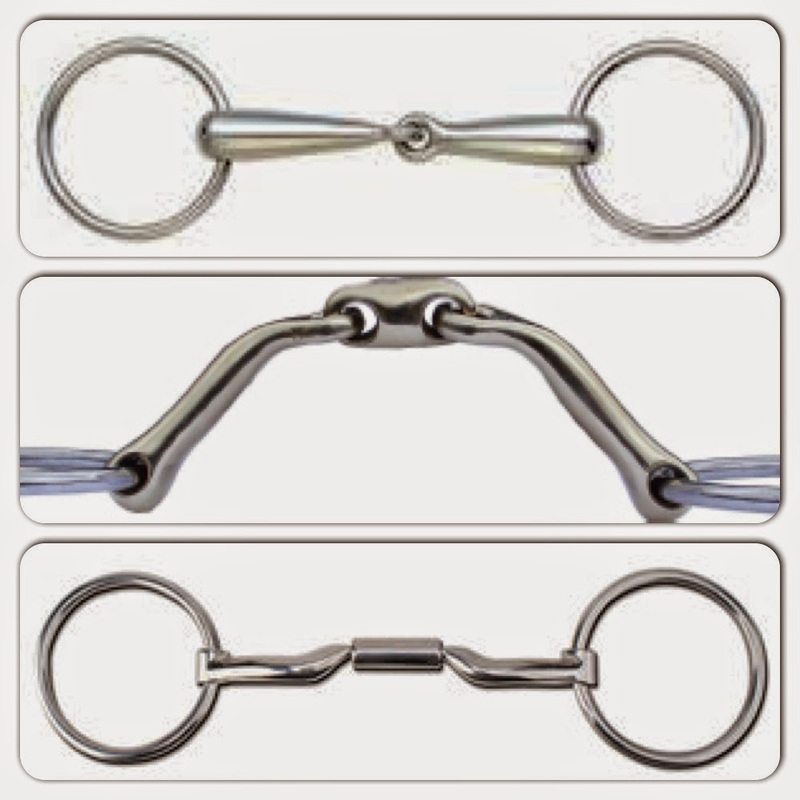 I immediately went online and researched snaffles, concerned re the nutcracker action of the single jointed bits I wanted a lozenge...I read reviews, forums and stocked up on product information finally settling on the Neue Schule Verbindend Loose Ring Snaffle £56.75; this bit is described as promoting action through the shoulder, acceptance of contact, self carriage and thoroughness. I didn't even trial it, it had to be right, I couldn't find anything wrong with it and at the time it was a popular bit with many positive reviews! I confidently tacked Oscar up with his new bit, which he chomped and chomped and chomped on. I stuck with it...he continued to chomp...and toss his head...a lot. To the point it unbalanced me when I rode him and I noticed the lozenge was full of teeth marks and scratches after only using it for 1/2 weeks. People kept telling me...stick with it. But, just to put my mind as rest I bought an unbranded Loose Ring Snaffle, this turned out to be the best £10 I'd ever spent! It was hollow, therefore super light and settled Oscar immediately, thankfully I sold my NS Verbindend for £30 to a friend so didn't loose out completely and she gets on with it wonderfully. After a few months wearing the simple snaffle I went to a local show with a girl who liveried close to my yard, we'd ridden together a few times and she always rode bit-less however to compete in the working hunter classes she had to ride her horse with a bit and chose the Myler Loose Ring Comfort Snaffle and had nothing but positive words about it. This time I trialled the bit first as Myler's aren't cheap bits, I can't remember which company I used but I trialled it for 30 days for a small payment and was sent a previously trialled bit by other clients, it came clean but I still boiled and disinfected before using it. You then have the option of returning the bit if it isn't right, as I should have done with the NS, thus saving money. Or, if the bit is right you can return it, pay an additional fee and have a brand new bit sent. 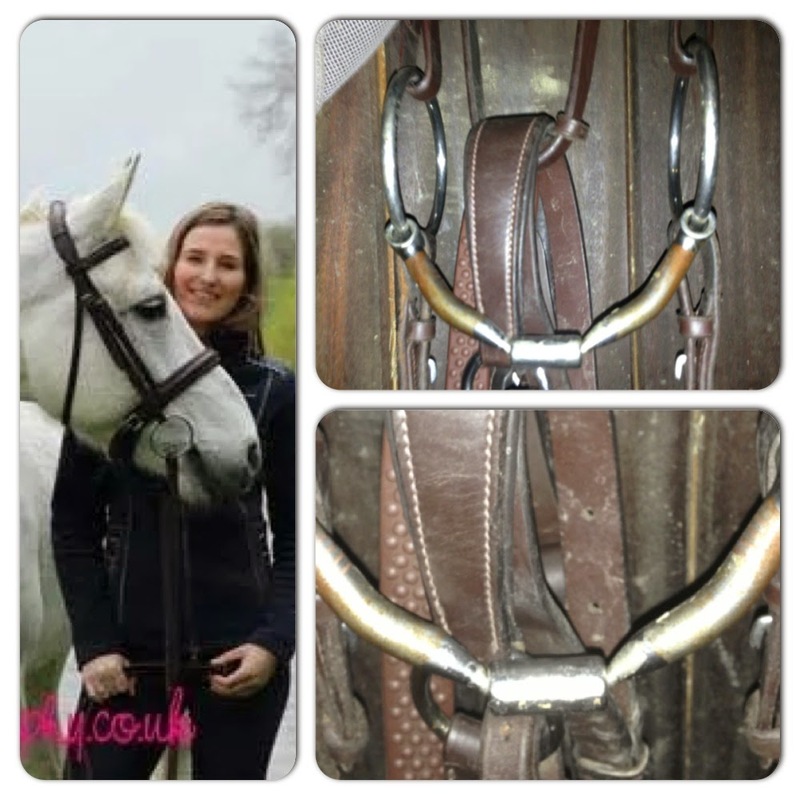 The Myler Loose Ring Comfort Snaffle £58.50 is a sweet iron mouthpiece with copper inserts which helps to keep horses mouths soft, the wrap around the link ensures no pinching of the tongue. It is a slim bit that allows independent side movement, and during this search for perfection I have learnt to read a horses mouth, how low is their pallet? How big is their tongue? As Oscar has a low pallet and big tongue, typical in connemaras and ponies the NS lozenge annoyed him, pressing on the top of his mouth, so putting the Myler in his mouth with it's slim bars and small tongue barrel must have been a hallelujah moment for Oscar. I have used this bit for over a year now, I use it for everything, hacking, schooling, cross country and even went hunting in it although it was my first time and I didn't know how Oscar or I would take to it...fair to say it was fast and I couldn't really hold him in this bit, but that isn't really what is it designed for! Overall I have control most of the time...and Oscar is happy, light, soft and responsive in it. An easy choice for me.